Dolce Cascais Guest House i Cascais, Portugal: Reservér nu! 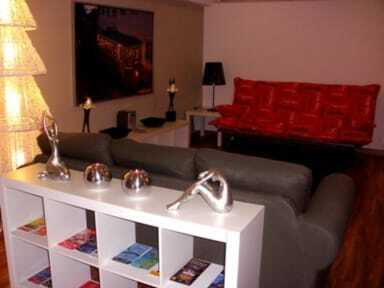 Dolce Cascais is a charming guest house located less than 2 km from the centre of Cascais and the beach. 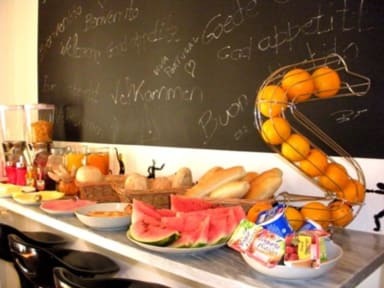 And 30 minutes away by car or train to Lisbon city centre which offers a unique concept and hospitality with 8 cozy and comfortable thematic bedrooms, all with private bathrooms. If you are seeking for a getaway or accommodation for your holiday, stay with us and experience the Portuguese comfort and hospitality at affordable prices. With 8 thematic bedrooms all with private bathroom (shower), sleeping 2, 3 or 4 people. The decoration differs in each room, with elegant simplicity and all equipped with air conditioning, free Wi-Fi, cable LCD/DVD and digital safe. The superb location makes it easy to discover Cascais downtown with its Bars, Restaurants and Shops, as well as the Estoril and Guincho coast with beautiful and sunny beaches. The towns of Estoril, Sintra and the magnificent city of Lisbon are just a few minutes away, either by car or public transportation.